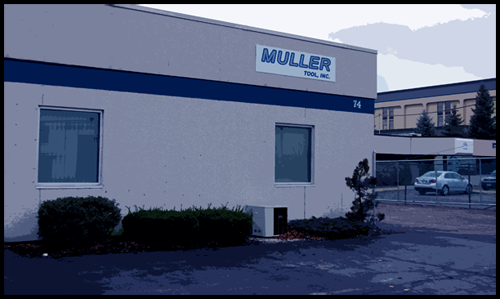 Muller Tool is proud of our long-standing reputation in the precision machining industry. One that we have established over the past six decades, evolving from a two man shop in the forties to our current operation. Although CNC technology has significantly changed the look of our machine shop floor and expanded our capabilities, one thing remains constant, the Muller Tool commitment to excellence. Using state-of-the art equipment and an experienced workforce, we can provide a quick turnaround of close toleranced and finely finished products to your demanding specifications. Our capabilities include, but are not limited to, CNC turning and machining, Blanchard surface grinding and assembly of small components. A full complement of quality built machine tools and a Quality Control system in accordance with MIL-I-45208A (ISO-9000 planned for the near future) enables us to confidently supply a wide variety of precision products. Some things never change . You can count on the same high quality, timely service and competitive pricing that has been and will continue to be, a Muller tradition for generations.